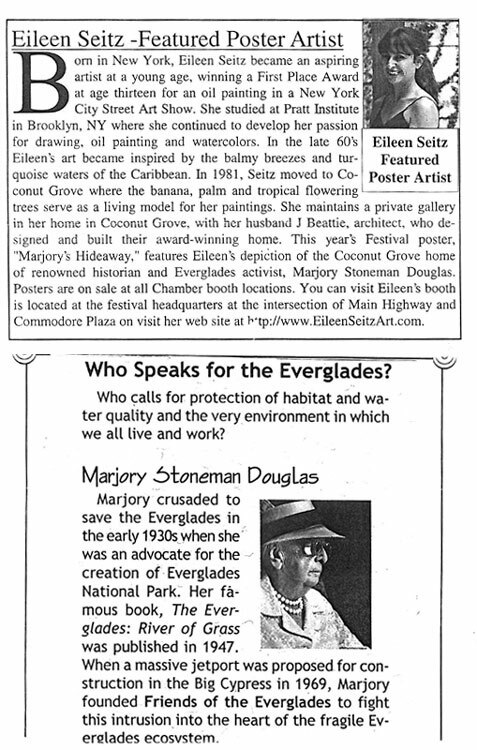 Marjory Stoneman Douglas crusaded to save the everglades in the 1930’s. 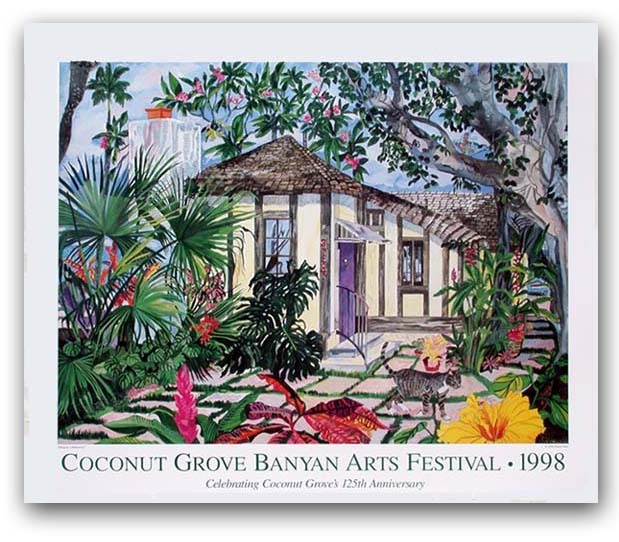 As a tribute to the 125th anniversary of Coconut Grove, the committee wanted the theme for the festival poster to be her home here in Coconut Grove. The morning I went to see the house, find its location an elderly lady was walking on the same street. She and I chatted and I learned she was a good friend of Marjorys. She told me Marjory had a favorite cat and gave me a lead as to where I could find this cat. Well I did and included Marjorys cat in the watercolor.